As a big-game guide for nearly 30 years, and a host and co-host of many outdoor TV shows throughout the past 18 years, I have been fortunate enough to share my passion of the outdoors by introducing people first-hand to my outdoor lifestyle, which has driven me throughout my career. Bringing new people into the wonders of the outdoors allows me to relive my excitement through seeing their joy. 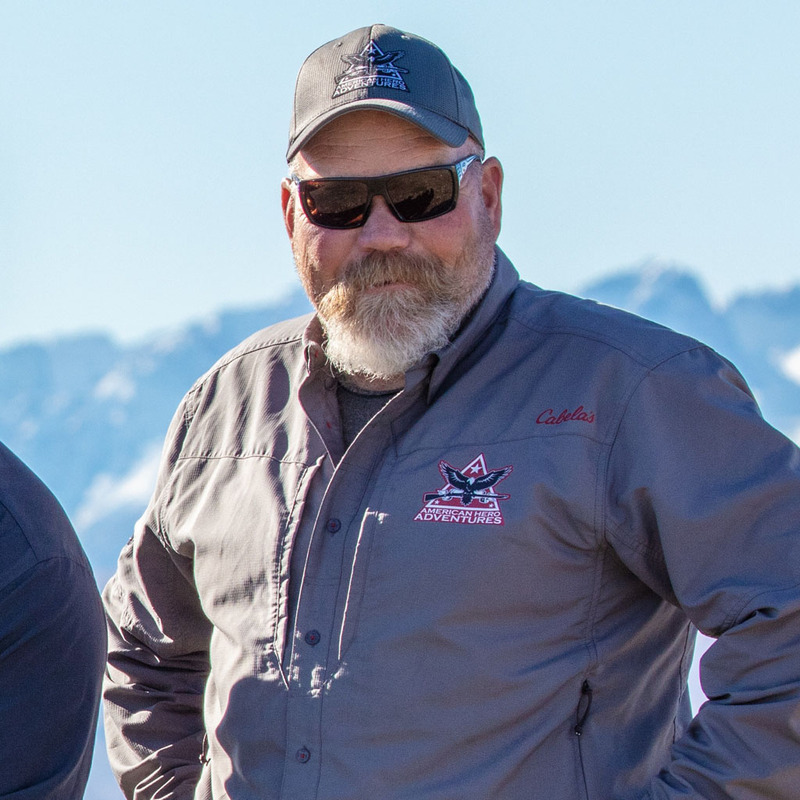 Working with Captain Givens and American Hero Adventures (AHA) has reignited my passion of helping people discover and rediscover the outdoor experience. Working with AHA for over 5 years has changed my life in a way that is hard to explain. Helping Captain Givens produce adventures of a lifetime for our American Heroes is very rewarding by being able to personally give back to those who given so much for us. Having been able to witness the peace that overcomes the participants on these adventures makes me very proud and honored not only to help our Heroes and AHA, but to be an ambassador for them as well. I hope to be helping Captain Givens and AHA for a long time to come! Here’s to many more adventures!